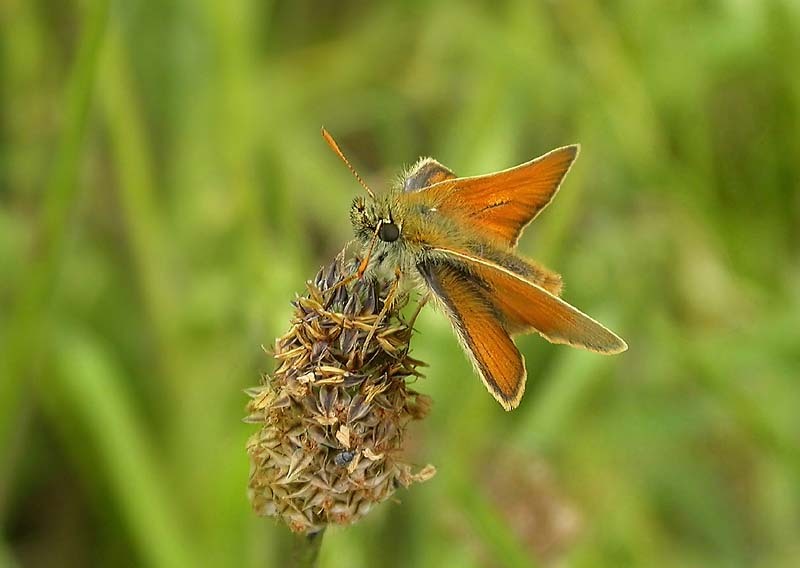 57.006 Small Skipper, the old sewage works at West Vale, June 30th 06. 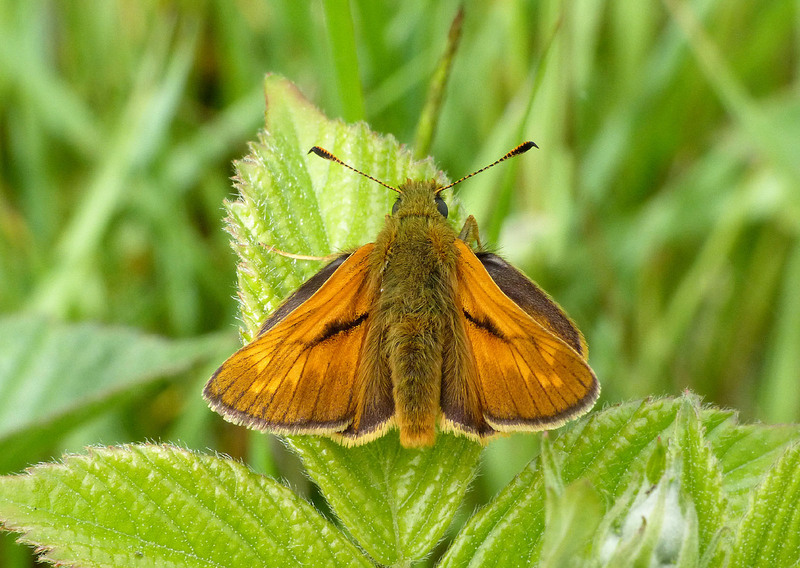 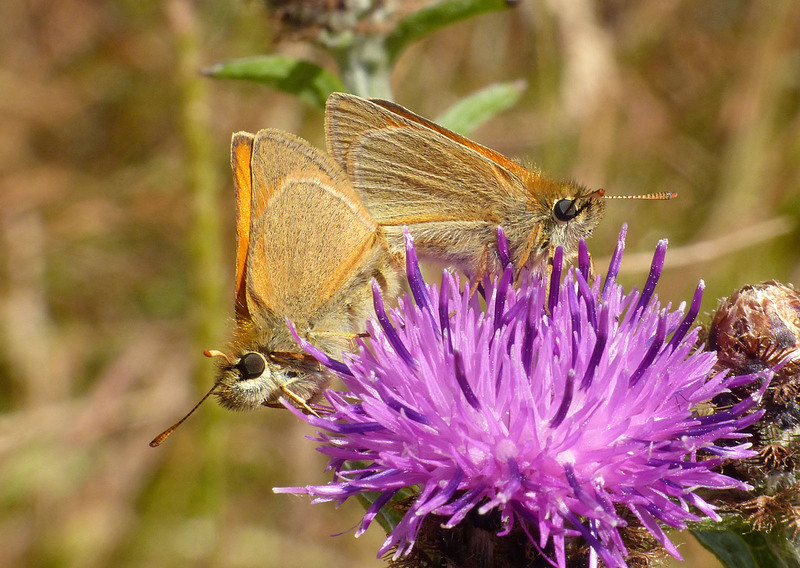 57.006 Small Skippers in cop at North Loop, Cromwell Bottom, June 21st 2018. 57.009 Large Skipper, Tag Loop, June 15th 06. 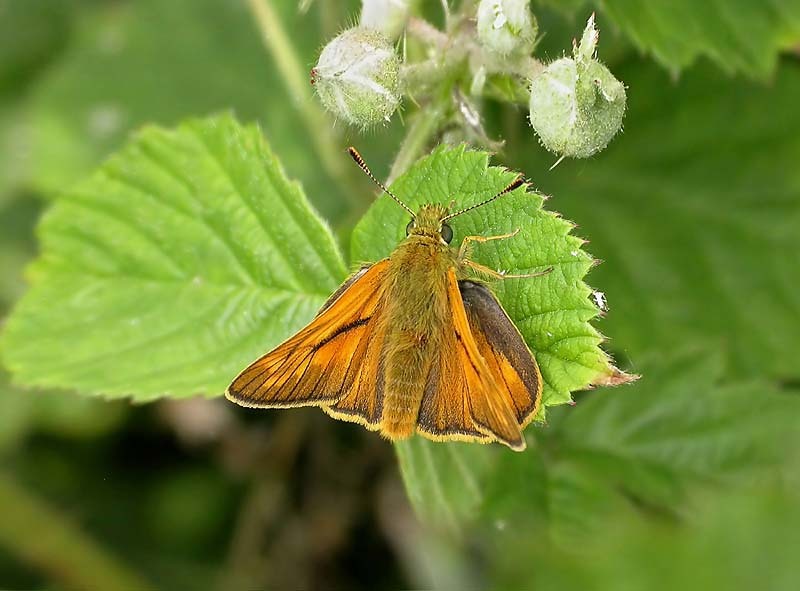 57.009 Large Skipper, Hollas Lane Nature Reserve, June 12th 2018. 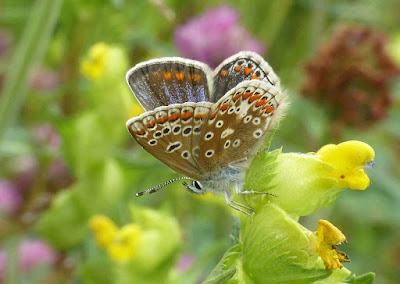 A small population here at present. 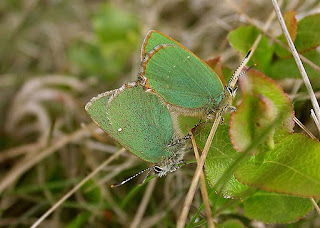 61.005 Green Hairstreaks mating among the Bilberry, Pecket Well, May 20th 08. Found by fellow moth-er Winston Plowes. 61.004 Purple Hairstreak captured by day at New Lane, Aug.24th 2012. 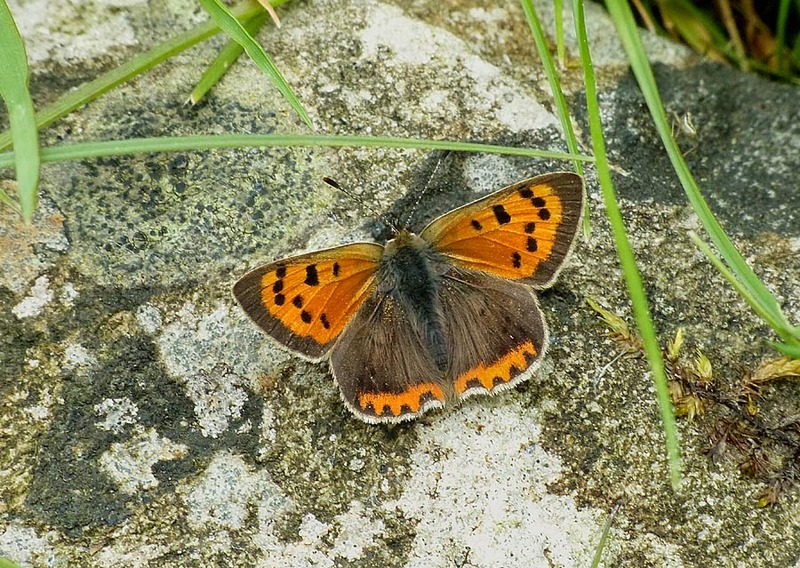 A worn and battered individual no doubt washed out of the canopy by heavy showers that morning and found resting on a drystone wall. 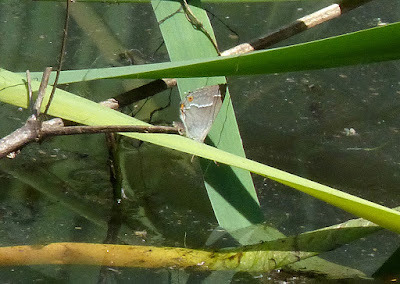 61.004 Purple Hairstreak, Cromwell Bottom dipping ponds, July 5th 2018. 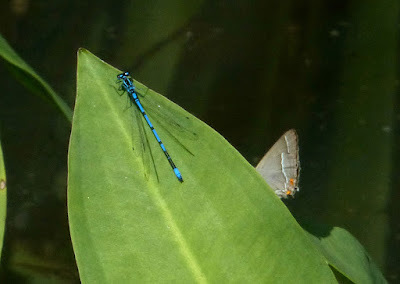 One or two were coming down from the tree canopies and darting around the ponds in the late morning sunshine. 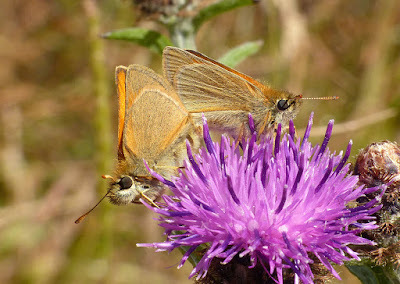 They were very skittish and refused to settle for long. 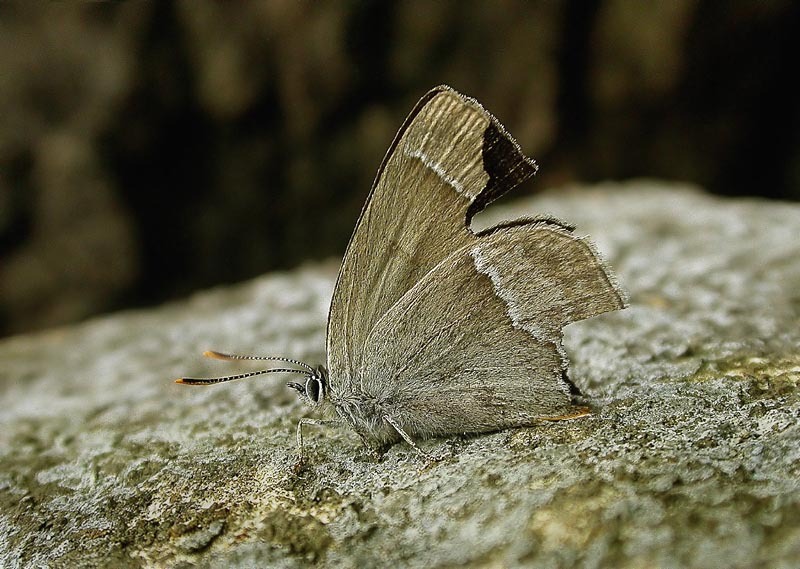 61.004 Purple Hairstreak, Cromwell Bottom dipping ponds, July 5th 2018. Details as above. 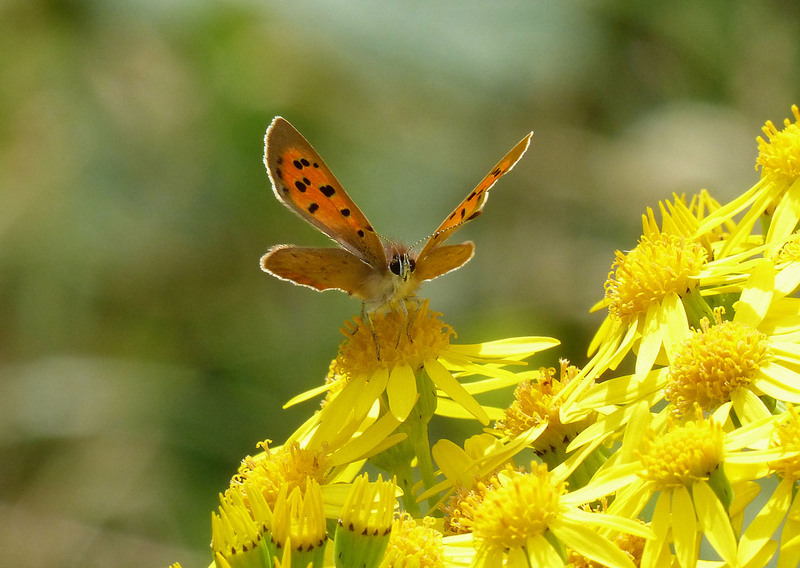 61.001 Small Copper nectaring on Ragwort at All Saints' graveyard on July 30th 2017. 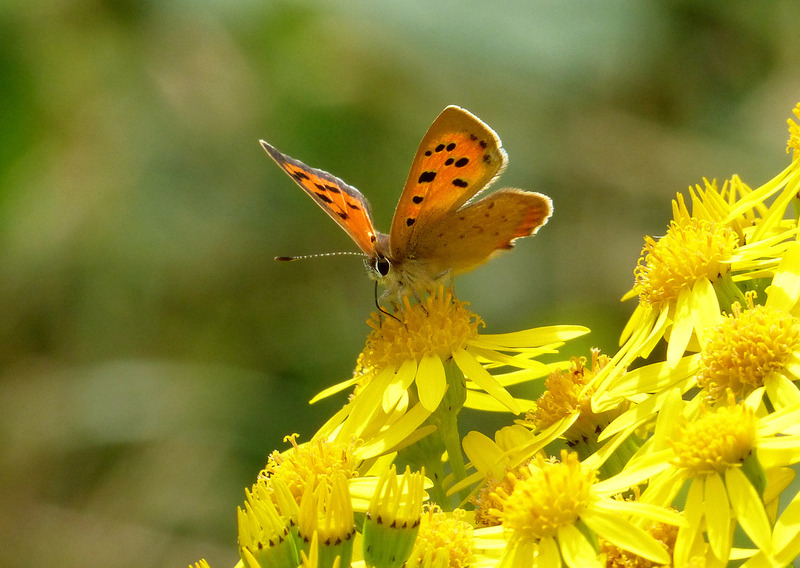 61.001 Small Copper, Mathew Laithe near Lobb Mill, May 31st 2014. 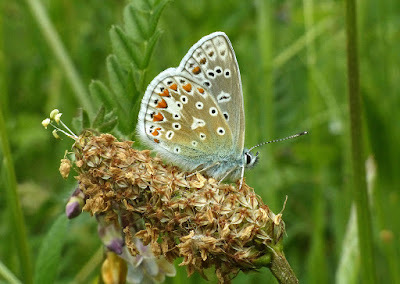 61.018 Common Blue (female), Tag Loop, July 9th 08. 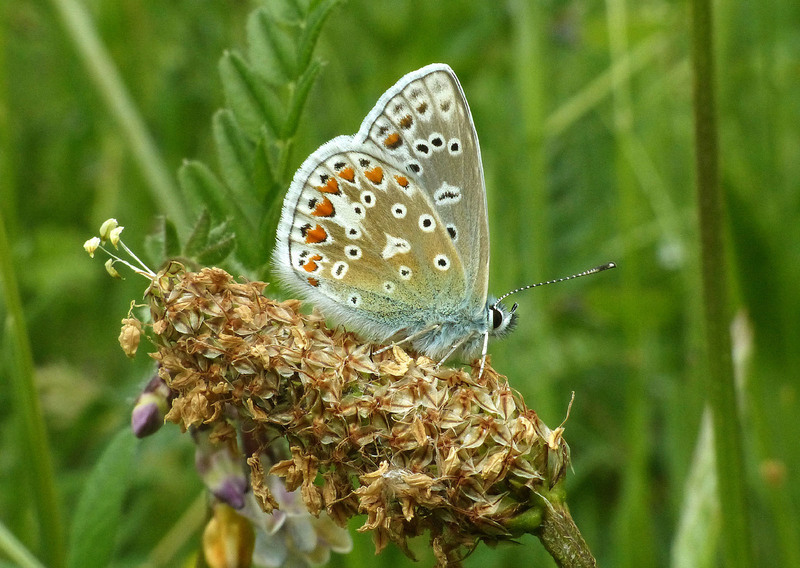 61.018 Common Blue (male) at Copley meadow, June 3rd 2018. This site holds a very small, possibly endangered colony. 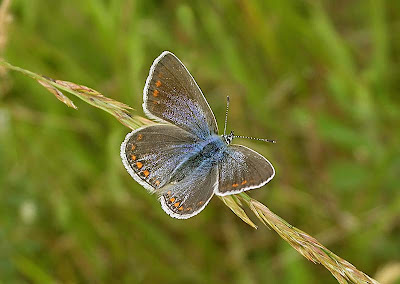 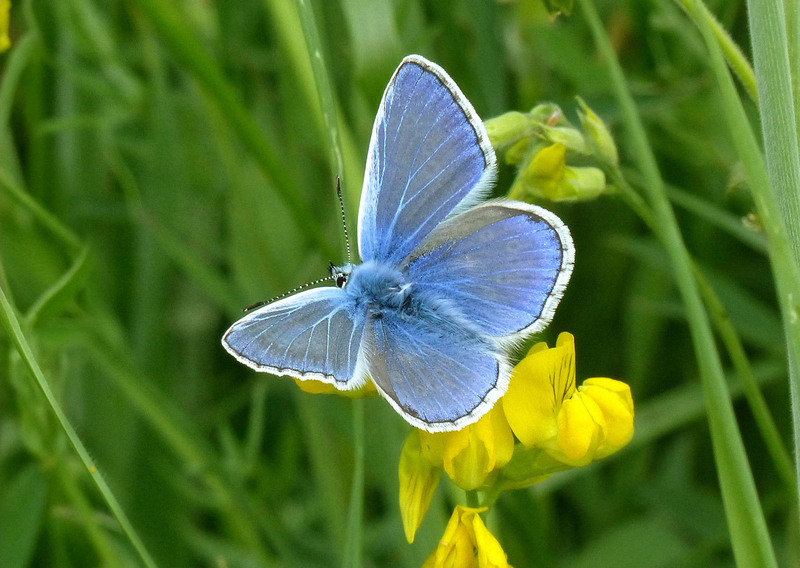 61.018 Common Blue at Copley meadow, June 3rd 2018. 61.018 Common Blue female sunning itself at Hollas Lane Nature Reserve, June 12th 2018. 61.012 Holly Blue, the garden on leylandii, Apr.17th 09. 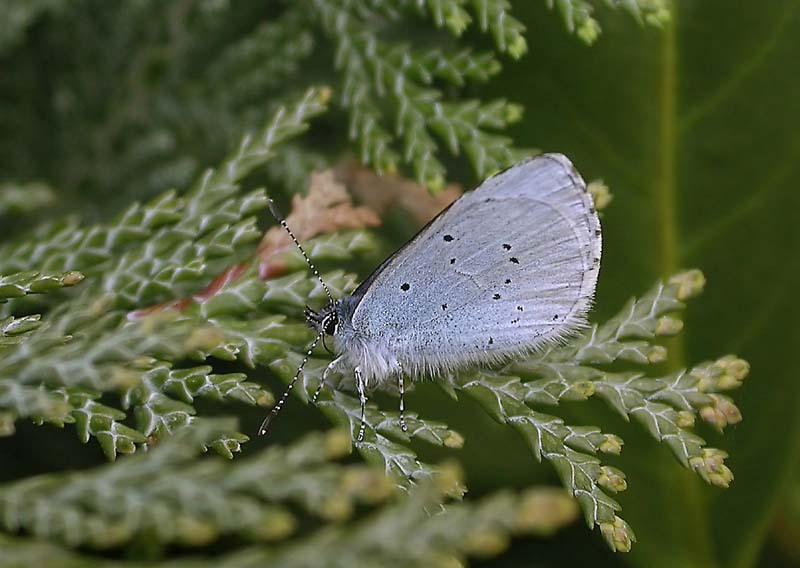 One or two records in an average year - often speeding through gardens without settling for too long.